Our quaint lodge will suite your every need when you stay with us.You can sit back in the living room enjoy a beverage and watch a little satellite television on the 46 inch plasma screen, or relax by the fireplace. We have nice back porch that everyone in your party can hang out on and enjoy nature.Enjoy a great home cooked southern meal that is sure to satisfy your hunger after every hunt. Our shooting houses are dry and comfortable with easy to enter and exit steps and a side rail strategically located where the deer population is greatest. Some accommodate two hunters easily. For those who prefer, and are physically able. 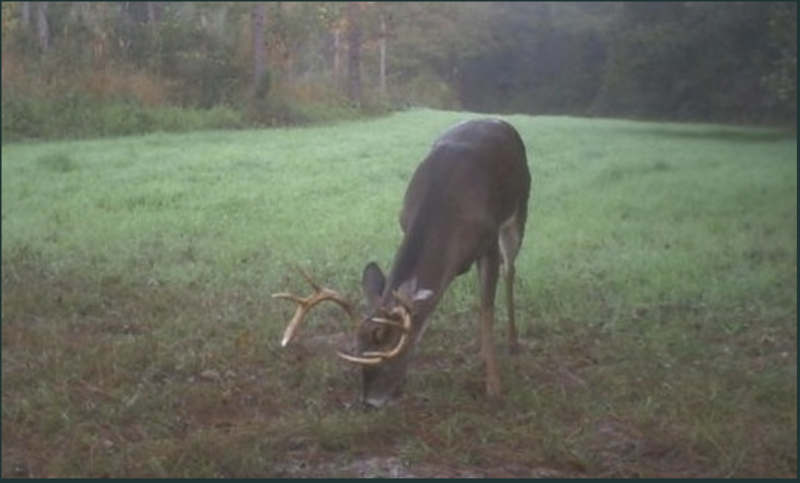 We have 15 foot ladder stands in our heavily populated white oak hardwoods that overlook known deer trails next to and near our creek bottoms.